ManageEngine mengeluarkan Wifi Monitor plus. Apa saja kemampuan Draytek 2925n ? Monitor your WiFi on the go! Load your own floor plans & generate reports of your WiFi environment. Analyze your WiFi networks and identify the reason behind spotty WiFi connectivity. Isolate and resolve the issue with your WiFi network using the diagnostic android app, ManageEngine WiFi Monitor Plus. Take stock of the performance of all the networks available at various points of your environment. Send the report to your manager directly from your android device - simple and easy. Do you receive complaints from users about slow or no WiFi? It could be channel interference that is thwarting your WiFi performance. Find out if the interference is Co-channel or Inter-channel. Spot the channel that tampers your network and optimize your network to the quietest channel. Instantly identify the signal with the best strength. The Signal graph filters out the weakest signals by default. The GUI has provisions to view all the available signals and the weakest signals too. These smart filters de-clutter the graph and give more visibility into the WiFi health. Upload your own floor plans from your devices' gallery or Dropbox or sample floor plans available in the App. Survey multiple locations on a site for signal strength and record the WiFi performance. Generate and export survey reports from your device! See exactly where your WiFi network is cold, warm or red hot. Ascertain the quality of coverage that your access points provide and optimize the location of your access points accordingly. Heatmap reports of the site surveys enable you to size up the network coverage of the access points at different locations. ManageEngine the real-time IT management company, today launched WiFi Monitor Plus. Available immediately, the free diagnostic app lets IT admins in SMBs and large enterprises monitor, analyze and survey WiFi signals in any area, directly from their Android mobile devices. WiFi Monitor Plus is available for download at http://ow.ly/zsHg9. 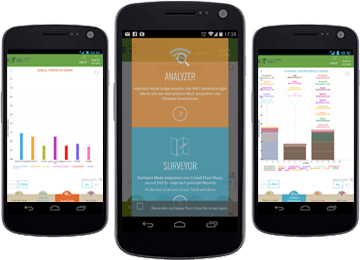 WiFi Monitor Plus offers both Analyzer and Surveyor modes, making it the first WiFi monitor to offer both modes in one app. 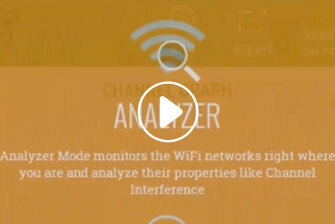 Analyzer mode lets users view available networks, graphs of the scanned networks' signal strength, and channels with interference. 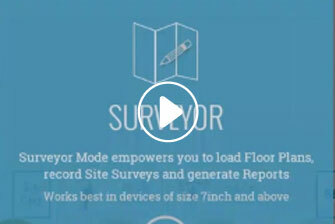 The information helps users take appropriate actions to optimize WiFi connectivity.Surveyor mode allows users to survey a site for the best signal strength. The heat map feature indicates the strength of the scanned WiFi networks. Users can upload their floor plans and survey different locations on the site for signal strength. The application's simple, user-friendly GUI helps users quickly access relevant data including best signals, overlaps in a channel, and site locations with the best signal strength. The app also has a Channel Graph widget that users can add to their devices' home screens to instantly access the information without having to invoke the app. With this free app, IT admins gain valuable insights such as the need to switch off specific channels due to interference or deploy access points to help improve WiFi connectivity. WiFi Monitor Plus has smart filters to show signals with the best strength by default and also by frequency. It intelligently filters out the weak signals, making the interface clutter free. Users, however, have the option to view all the signals on a single graph. Users who have tried the beta version of WiFi Monitor Plus have been particularly impressed with the app's level of functionality and detail.